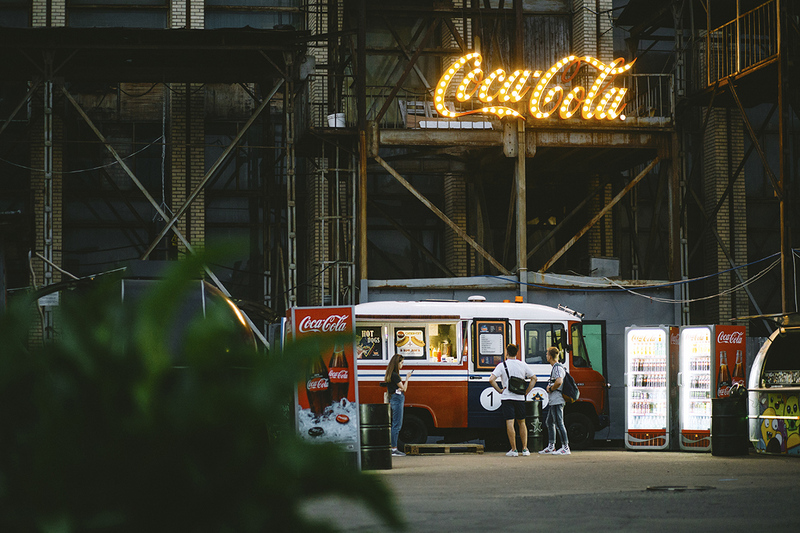 16 food trucks in the courtyard of the plant Horizont, an aged Coca-Cola inscription, wooden pallets instead of chairs and painted barrels instead of tables – here are the lovely landscapes of this summer in Minsk. The project "Pesochnica" in a couple of months has become the main street food opening of the year. 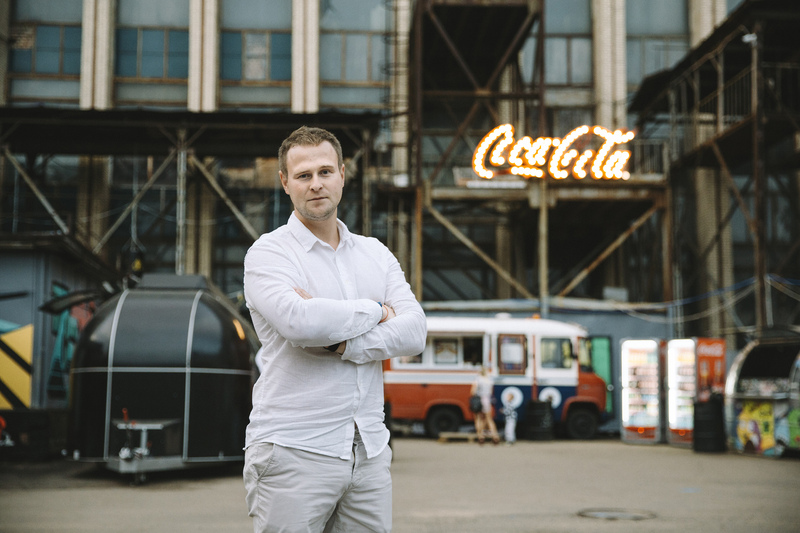 We’ve talked to one of its creators, Stanislaŭ Aginsky, about the street food revolution, gastro business in Belarus and what we will eat next summer. 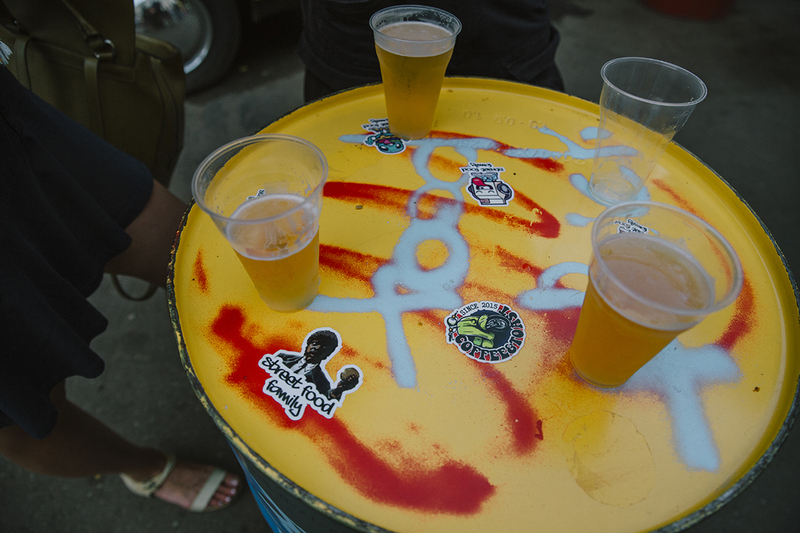 Before "Pesochnica" for almost 2.5 years we made "Gastrofest" festivals and the format was slightly different (cafes and restaurants that participated in the festival created sets on a specific topic and at the fixed price – 34mag). At some point, we came up with an idea of a street festival and made it with simple take-away food. During the “Gastrofest” with street food sets, we had 5 or 7 requests from food trucks who would also like to participate. 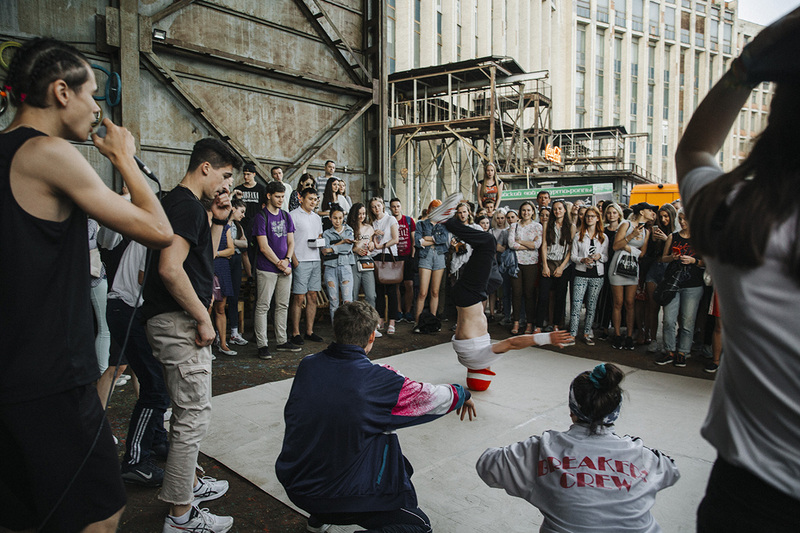 We rented the inner part of the courtyard in the cultural center "Korpus" and collected 5 trucks there. And for three weeks we had such a location, where you could home come to eat, relax & listen to music. Once our good friends said that there was a huge empty spot on the territory of the plant “Horizont”. There was no place with food trucks in the city, but it was needed. This market is growing, and if 5 years ago there were two food trucks in the city, then two years ago there were about 10 of them, and now there are almost 30 of them. I think there will be more than 100 of them in a couple of years. Now there are 16 food trucks at “Pesochnica”. When we were planning the territory, we immediately realized that there would be between 13 and 16 trucks. There were also trucks, which we got later. For example, the "Paraplan" truck with dog food. This is an advertising project, but we decided that this is a good story, because they treat dogs with food and water for free. This is a dog-friendly territory. First of all we think about what the consumer would like. Of course, all this is quite subjective. We are the team of three people and we make decisions according to our personal preferences, experience, and background. But there are times when I try to think not as a businessman, but as a regular resident of the city. Am I interested or not? We would love to open in December with the New Year's fair, mulled wine, tea. It is still under discussion. But there will definitely be something in the winter. Now Europe picked up the trend, that winter does not mean that street trade stops. And we do not have such harsh winters, it is not minus 30 for two months. And when it’s minus 5-10 degrees you can wrap yourself in a scarf and go somewhere nice. There are three of us and we work together for three years. I work with two girls: Olga Maleyko and Yevgenia Krasovskaya. We had attempts at businesses that were frankly less fortunate. At some point we came up with the idea of festivals. We have grown up, and now we have a team, we are already 7-8 people: there is a manager in "Pesochnica", and the project manager of "Gastrofestival". There are people who are responsible for something specific. But the three of us can easily transfer tasks to each other. Of course, the Coca-Cola sign is an ad. 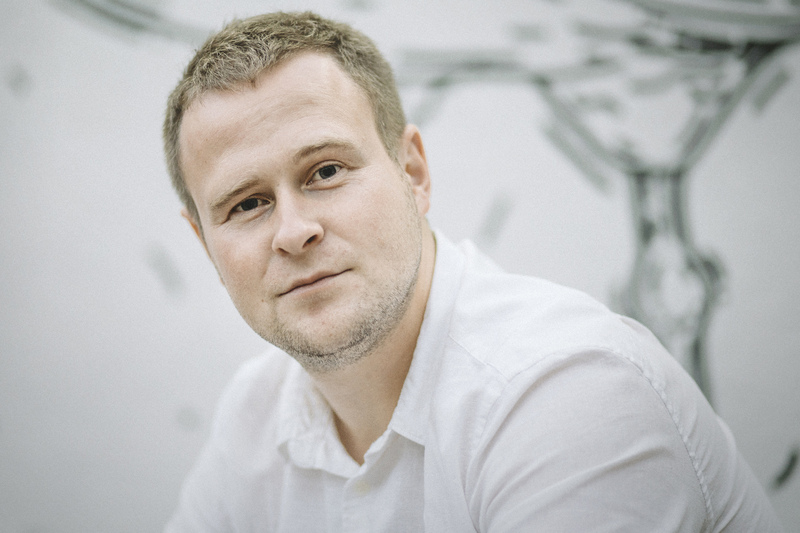 Everything is very prosaic: we create traffic and always look for partners who do not just want to give money. Money is cool, everyone loves money, but you sometimes lose something more important. We want to partner with those brands, who also bring something of their own. 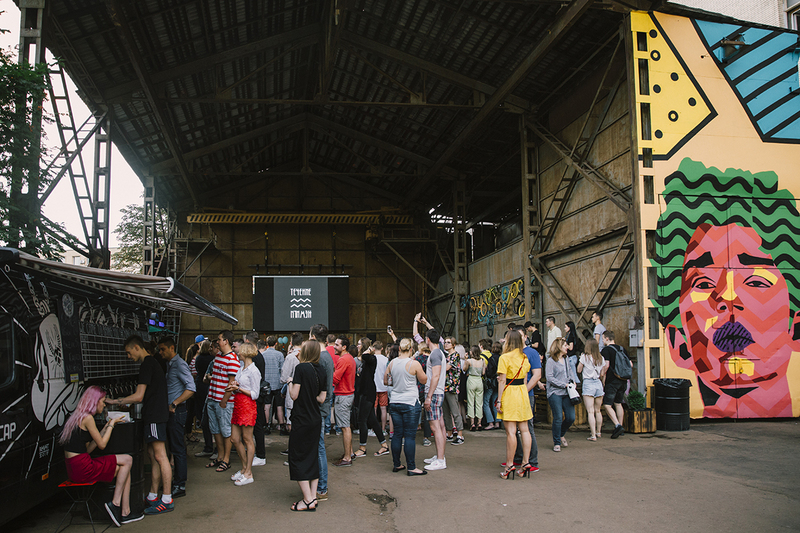 It was Cola that brought a lot of decor, pallets, barrels, and helped to create such an interesting atmosphere. 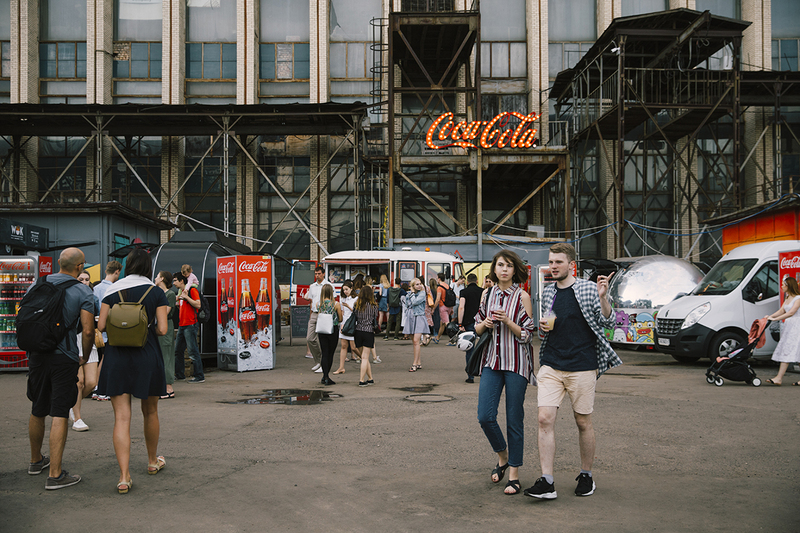 I am personally convinced that if tomorrow there are five food festivals in the city of Minsk, it will be good for everyone. Because it creates a culture, develops the market and the sphere. I would not even call it competition. Of course, it is, but it only helps us to grow. I believe that the guys from Vulica Ezha are doing quite an important job, they are promoting the layer of culture that we are promoting as well. We are moderating the sets. People who work here prepare a set and show it to us. If we say that the it is cool and profitable, we start to sell it. If not, we ask to think it over. If there are any super negative reviews, we always send them to the owners. All the trucks value their reputation no less than expensive restaurants, there is often the owner himself behind the counter. The site on a weekday with normal weather generated an average of 2000 people, up to 4,500-5,000 on a day off with good weather. When we had some events going on, this figure could increase. There is no exact information the average check, but it is somewhere around 10 BYN (€ 4 – 34mag): food and a drink. I think we are on the threshold of a small street food revolution, because it is a very popular topic and it is developing rapidly. There are already food trucks in the city working all the time, on a regular basis. 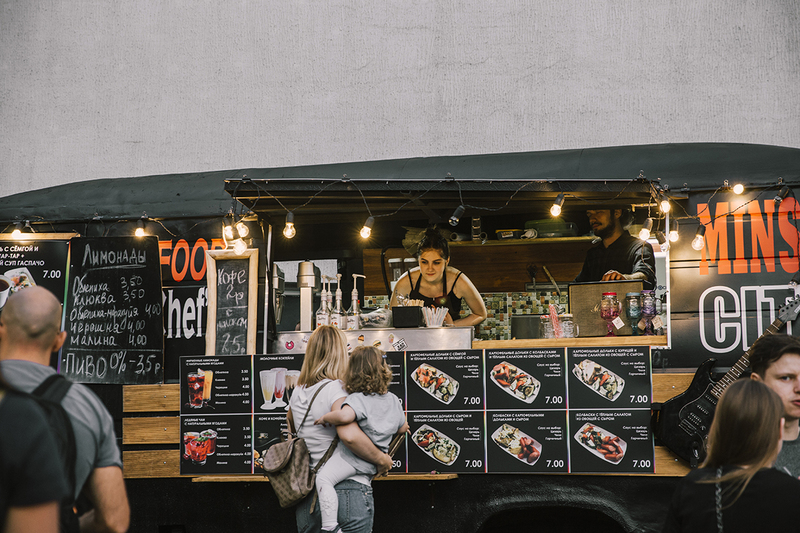 There are many festivals that are ready to use these food trucks. There is “Pesochnica”. In a year there will be even more such projects. This is cool, because any development in any business is cyclical. And this is an excellent cycle of street food development. Over the past 5 years we have made a huge step forward in the sphere of food, a lot of cool projects and new names have appeared. I don’t think we should look up to Europe, but there are some things that we can notice there. Often the figure of the chef is defining. People who go to a restaurant know exactly to whom they are going to. It’s the same with the trucks: their owners somehow become media personalities. You see them behind the counter and you know them in person. I also think that we will have a huge variety. Today in Minsk there are not enough narrowly focused projects, and this market is developing very quickly. A couple of years ago, if you were a vegan or a vegetarian, you had practically no place to go. Now there are a lot of them and there will be more. There will be more different festivals and projects similar to ours. It's great, we're a European city, and it’s time to stop to shy away from this.